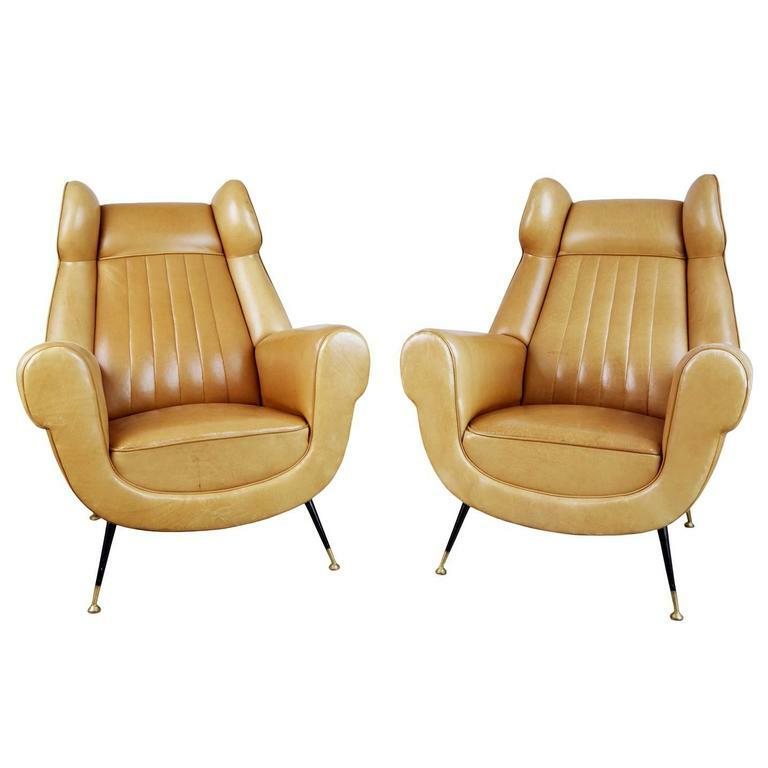 This pair of 1960s Gigi Radice for Minotti leather wingback chairs are currently the gallery owners favorite pair of armchairs in our collection - a simply stunning and incredibly buttery soft eye catcher, these chairs are a must-see to appreciate. 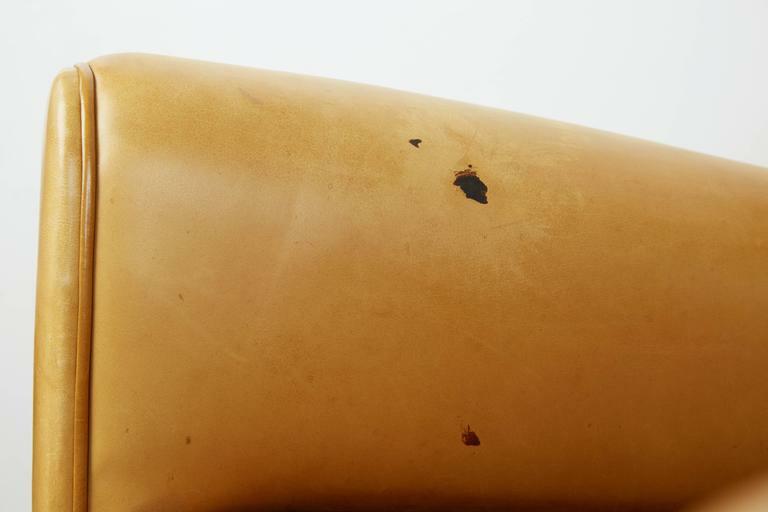 The beautiful ocher leather is just incredible. Nicely worn in and soft. 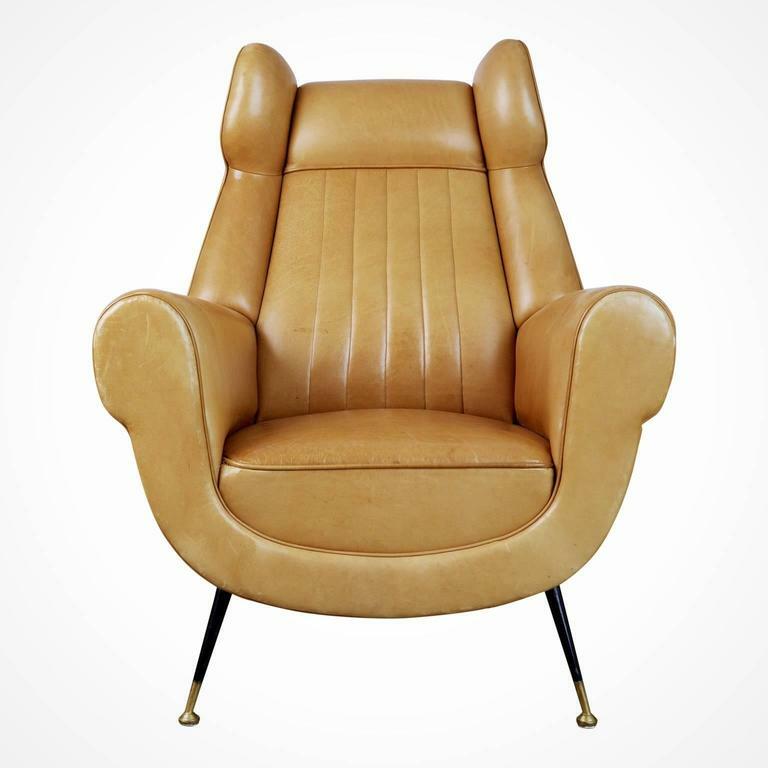 Sculptural and graceful usage of arches and contours, most greatly exaggerated on the channel tufted backs, wingback headrests, seat rail and scrolled hand holds. 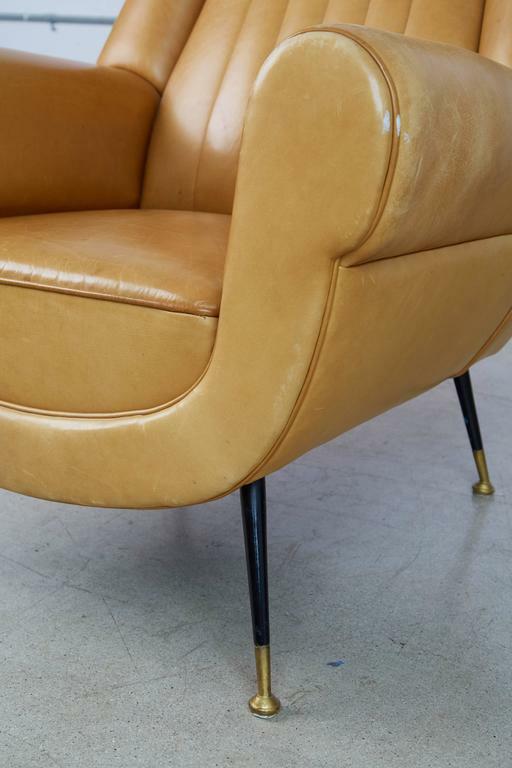 The conical legs are black enameled steel encased in brass-plated feet and the original warm ocher colored leather possesses an antiquated patina, giving it a highly desirable subtle and lightly distressed look. One chair has staining as shown in the photos however this adds to the distressed look and future wear and use will only add to its beauty. 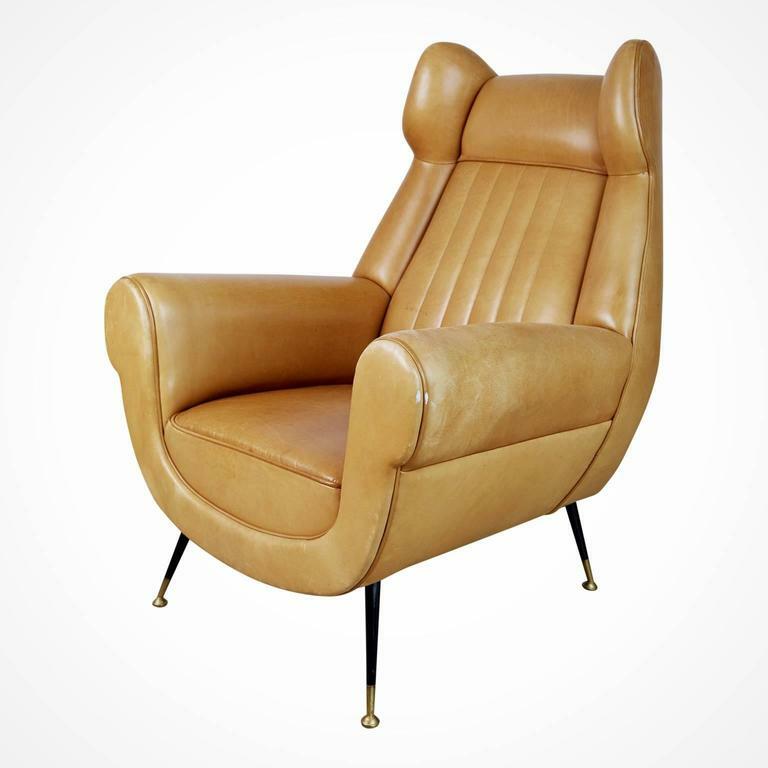 The rough-hewed leather and elegant Silhouette of these two (2) lounge chairs would compliment various locations such as a living room, den, games room, office space or bedroom. Interior design styles they would optimize are; Eclectic, Contemporary, Industrial, Mid-Century or Italian Modern. It would also be great in a hospitality or corporate location, such as a boutique hotel lobby, cocktail bar or lounge, members club, workspace studio, executive office or in a luxe clothing emporium. Would pair beautifully with other Italian Modern and Art Deco such as Ico Parisi, Marco Zanuso and Gio Ponti. Measurements: 40" H x 33" W x 28" D Seat height 16.5" Seat depth 20"
Very good vintage condition. Some dark stains on one of the arms which provides character. 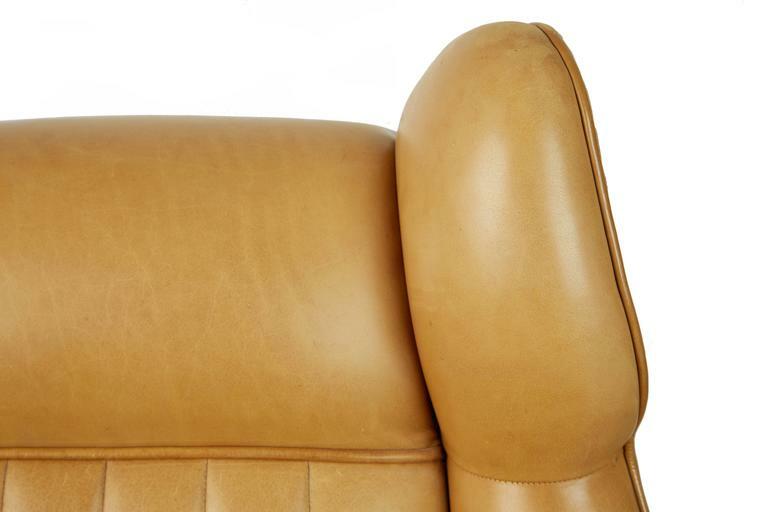 The leather has a patina built up over time and possesses a very light and soft 'aged' look with gentle wear. Will continue to beautify over time and use. 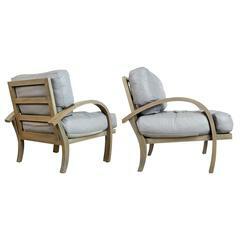 Set of two armchairs in faux brown or orange leather with iron legs and brass feets. Italian design by Gigi Radice for Minotti. 1950s. 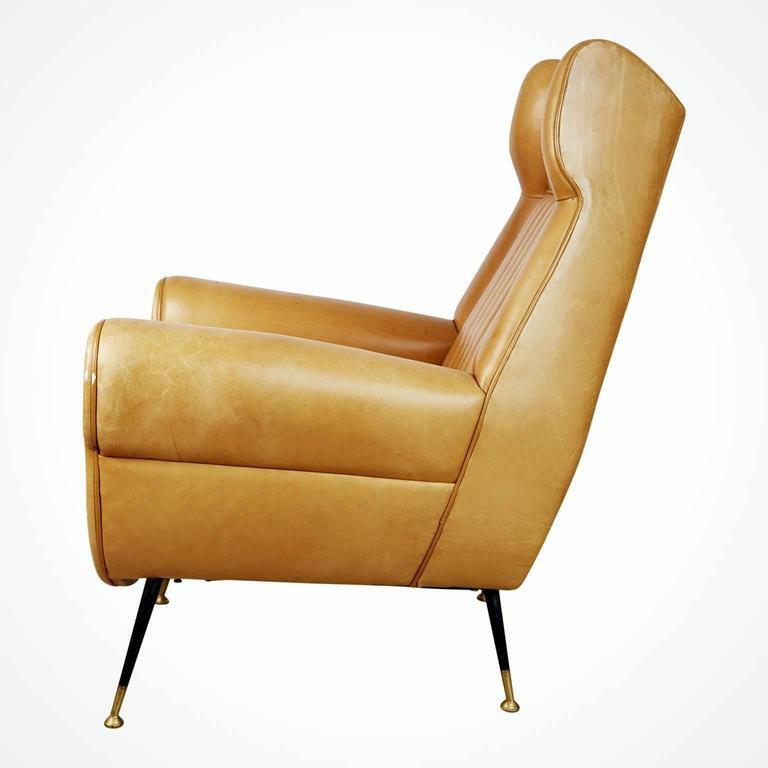 Armchair designed by Gigi Radice for Minotti. 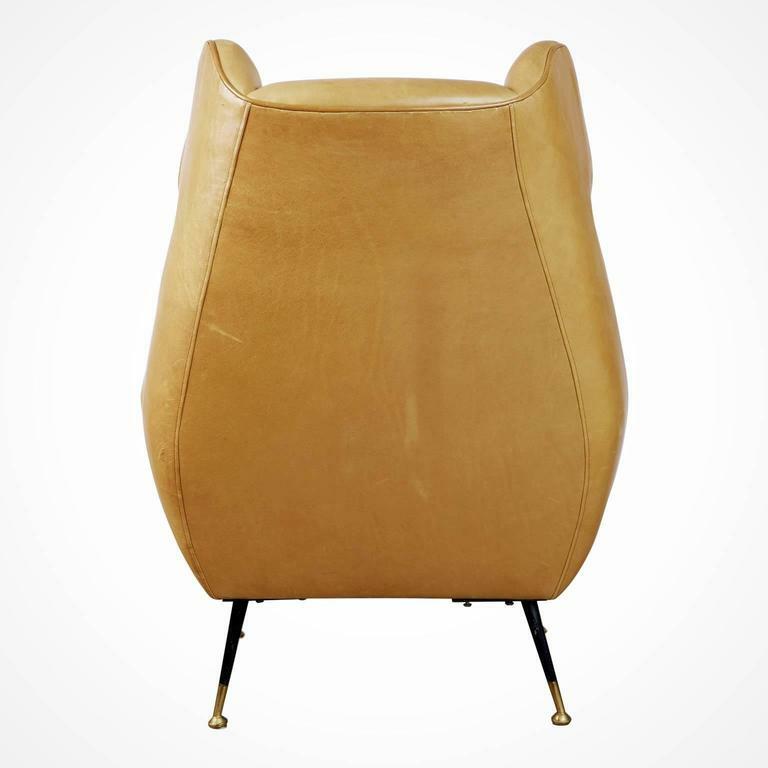 Made with solid wood structure upholstered with green fabric, and polish brass legs. 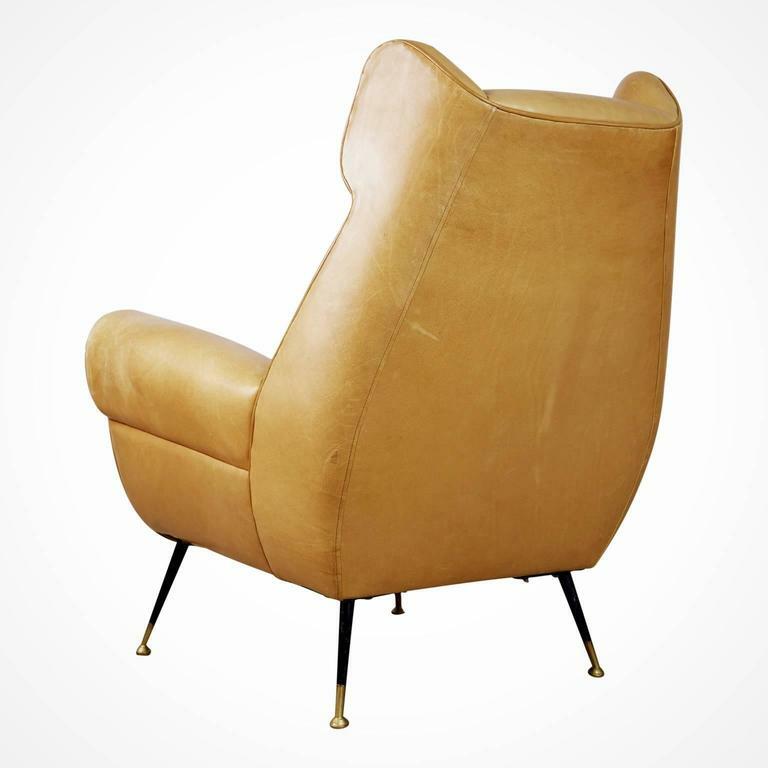 Pair of Italian modern lounge chairs with tufted buttoned back and rolled arms over severe brass splayed legs. Gigi Radice for Minotti.